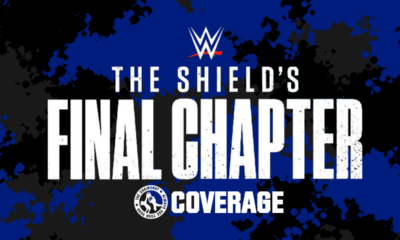 As we approach this year’s Elimination Chamber pay-per-view, we look back at one from May 2015! Stardust starts off with an arm drag, rubbing it in Ryder’s face, Stardust into the ropes for a shoulder knockdown. He gets a little too cocky, Ryder with a dropkick and a couple armdrags, then going into a hammerlock. Stardust fights it off and hits the ropes, Ryder ducks down and hits a flapjack. Stardust rolls to the outside and Zack with a baseball slide, then bringing The Cosmic One back in the ring. Stardust gets in a couple of shots, taking control and working over Long Island Iced Z’s back. Stardust grabs Ryder in a surfboard, Ryder rolls out into a cover getting a quick 1, then running into a back body drop. The Cosmic One continues to punish the back, driving in the point of the knee and wrenching the arm back. He picks Ryder up, attempts a suplex and Zack counters into a neckbreaker, both men doubling down. Stardust to his feet first, Ryder ducks a clothesline and starts to mount the offense. Stardust runs into double knees in the corner, then goes for a 2nd rope dropkick and misses. Stardust clotheslines him onto the apron, then charges and gets dumped to the floor. Zack comes off the apron with a dropkick, then rolls Stardust back in and hits a sunset flip off the apron. Stardust counters and grabs the rope, but the ref sees it and stops the count. Stardust catches Ryder coming from behind, landing a side effect, but not being able to capitalize. Ryder shows signs of life with a running forearm in the corner followed by the Broski Boot for a count of 2. Zack goes for the Rough Ryder, Stardust avoiding it and planting him with Cross Rhodes to finish it. EA’s Take: Two words: filler match. Decent showing from both guys, but there’s just no kind of investment in either of these guys right now. Just a segment filler that was not ever promoted. Still a lot of seats filling up as the crowd’s still filing in. The Ascension & Lucha Dragons will start the match, apparently Torito is going to hang out on top of Los Matadores’ pod for the match. 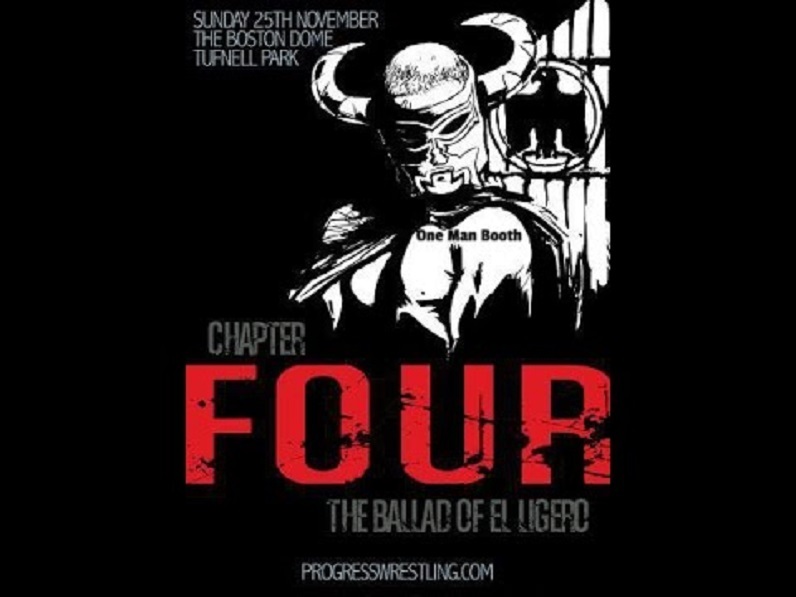 Konnor & Viktor bludgeon the Dragons, send them into the ropes and the Luchas with springboard crossbody’s. Good double team work, Sin Cara helping Kalisto into a dropkick to Viktor. Konnor sends them outside and catches multiple enzuigiris, Kalisto with a springboard crossbody and Sin Cara follows with a springboard somersault senton. The Ascension takes over in the corners, pummeling the Dragons. They whip Sin Cara into the turnbuckle, then try to send Kalisto in who gets propped up on top of New Day’s pod. Sin Cara goes comes off the 2nd rope and gets caught in a slam as New Day grabs Kalisto’s legs and holds him there. Ascension goes after him, getting kicked off and allowing Sin Cara to climb on top of Kidd & Cesaro’s pod, coming off onto Viktor with a somersult senton. Kalisto gets to his feet and goes to jump off, but New Day grabs his leg again and stops it as the clock hits zero. Kidd & Cesaro enter the equation with double team moves to Sin Cara and The Ascension. Cesaro & Kidd with uppercuts and dropkicks, getting a count of 2 on Viktor. Kidd climbs up after Kalisto, attempting to suplex him off the pod and getting knocked to the floor. Cesaro leaps to the top rope and hits Kalisto with an uppercut, then grabs superplexes him off the pod, Kidd following with a springboard elbow drop. He covers and Sin Cara makes the save, then gets tossed out to the steel floor, Cesaro miltary press slamming Kalisto to join his parner. Viktor pairs off with Kidd in the ring, clubbing away and hitting a slam for 2, Cesaro intervening. Kidd gets him in the Sharpshooter, Konnor in to break it up. The Dragons are back up, Sin Cara launching Kalisto into a hurricanrana to Cesaro on the floor, Cesaro catches him and gets taken out anyway by Sin Cara. Kalisto climbs the pod as Sin Cara hits Kidd with a one arm powerbomb as time expires. Los Matadores are next, Torito jumping off the top of the pod for a hurricanrana to Cesaro. Kalisto is at the very top of the pod now, dropping down onto everyone with a crossbody. Los Matadores try to pick up the scraps, Diego with a slingshot somersault senton to Sin Cara on the steel floor. Torito now climbs the top of the cage and drops onto Ascension, getting caught and tossed into Fernando. They drill Diego in the ring with The Fall Of Man and pickup the 3 count. Los Matadores has been eliminated. The Dragons take out The Ascension with dropkicks and then climb up top. Ascension catches them on the way up, slamming them both down and then hitting Kalisto with The Fall Of Man for the 1-2-3. The Lucha Dragons have been eliminated. Viktor plants Kidd with a Michinoku Driver for a near fall, Konnor & Cesaro battling back into the ring. Cesaro goes outside to help out Kidd as the next team enters the match. Primetime Players are next, running into The Ascension who was waiting for them to come out. Viktor works over Titus on the outside, then gets rammed numerous times into the cage. Darren hits him with the Gut Check and he grabs the pinfall. The Ascension has been eliminated. Titus suplexes Darren into a splash on Kidd and then Cesaro, Darren attempts the Gut Check again, Tyson slips out and connects with the spinning fisherman’s neckbreaker. Titus takes him down with a big boot, then Cesaro interjects with a huge uppercut to Titus. Darren heads to the 2nd rope and Cesaro nails him with a dropkick, then follows him up for a gutwrench suplex. Titus grabs Cesaro and turns it into a tower powerbomb/top rope gutwrench for a near fall. Tyson with a kick to a ducking Titus, into the ropes and he runs into a spinebuster. Darren covers and Cesaro breaks it up, all 4 men laying on the canvas as the clock ticks to zero. The New Day enter last and go right to work on all 4 challengers, pummeling them in the corners. They go for a double suplex to Cesaro, but Tyson & PTPs join up to suplex all 3 members of New Day. Cesaro grabs Woods and they toss him into a pod and close the door. Kidd slingshots Kofi into a spinebuster by Cesaro, he grabs the legs for the Cesaro Swing and Kidd with a dropkick. Tyson makes the cover, but Darren grabs Cesaro with a roll-up from behind and gets a count of 3. Tyson Kidd & Cesaro have been eliminated. Big E gets Woods out of the pod and now they have the numbers advantage, beating down the PTPs. Xavier drills Darren with the Honor Roll, then they drive Titus into the double knees of Kingston. They stuff Titus’ head through the chains, Woods & Kofi head up top and Big E puts Darren on his shoulder. Darren slips out, knocking Kofi & Woods off the top and avoiding a charging Big E, who runs himself right into the pod. Titus gets back to his feet and floors Kofi on the steel with a big boot and rams Big E back first into the chain. Kingston with a couple kicks, attempts Trouble In Paradise and Titus catches him, sending him into the chain. Back in the ring he flattens Big E with a clothesline, Darren catches Kofi coming off the top on his shoulders, right into the Gut Check for a near fall. Big E catches Titus with an elbow, then Darren clotheslines him over the top. Big E comes back, hitting Darren with an overhead belly to belly out on the steel. He comes back in the ring and gets caught in a powerslam by Titus, picking up another 2 count. Woods goes for a crossbody, gets caught, but Big E chops Titus down at the knee. Kingston follows with Trouble In Paradise, The New Day piles on top and gets 3 to retain the titles. EA’s Take: Great opening contest with lots of high risk and high spots as I had anticipated. Each team got to show a little something, but The Lucha Dragons really shined with their aerial assault. I also like how it looks as if they’ve transitioned the Primetime Players to be the next challengers for the titles, which only makes sense. It’ll be interesting to see where this leads for Kidd & Cesaro if this is in fact (no pun intended) the case. Backstage: Dolph Ziggler is prepping for the Elimination Chamber later, Lana walks up to wish him luck and saying the IC Title will look good around his waist. Dolph wishes Rusev was in the match, but Lana says tonight’s not about him. It’s about Ziggler. Nikki catches Naomi’s foot, whips it into Paige who catches it and Nikki blasts Naomi out of the ring. She squares off with Paige, Naomi drags Nikki outside and tosses her into the announce table. She delivers a kick to Paige from the apron, heads up top and misses a crossbody, Paige following with short arm clotheslines and a running dropkick. Superkick to Naomi, Paige gives one to Nikki on the apron, then catches Naomi’s crossbody into a fallaway slam for 2. Nikki gets back in with a shot to the midsection of Paige, then drives her face into the knee and covers for a 2 count. She sends Paige into the same corner as Naomi, then squashes them with a clothesline. The champion plants Paige with an Alabama Slam, Naomi grabs her in a roll-up for a 2 count. Naomi fires away at Paige, then catches an elbow from Nikki in the corner. Nikki to the 2nd rope goes for an enzuigiri and misses both challengers, then gets tossed into the ring post, spilling outside. Naomi takes control, suplexing Paige and landing a leg drop, then propping her on the top turnbuckle. Naomi follows, but Nikki’s back in the ring. She grabs Naomi into a powerbomb as Naomi has Paige in a german suplex off the top, Nikki covering and getting a near fall. Nikki picks up Paige for the Rack Attack, but here’s Naomi with the Rear View, covers and Paige breaks it up. She tosses Naomi outside, then goes for the PTO on the champion, Naomi quick to come back in and break it up. Paige sends Naomi into the corner, Naomi to the 2nd rope and Paige gets her on her shoulders. Naomi counters into a reverse hurricanrana for a near fall. Paige rolls outside, Nikki gets to her feet and ducks an enzuigiri from Naomi, then connects with the Rack Attack to retain her championship. EA’s Take: I’m pretty surprised to see Nikki get the duke here, as I thought the time was ripe for Naomi and a change would have been good. Hopefully WWE has something else in mind for the Divas division. 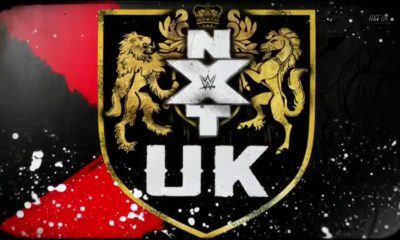 Eventhough this match was an improvement over what’s been going on since WrestleMania, the NXT Women’s division still puts the Divas to shame in terms of stories, in-ring ability and just about everything else. That’s likely to continue until WWE makes a real effort with the Divas to change it. Video: Each week, John Cena gives an opportunity to anybody who wants a shot at his US Title. NXT Champion Kevin Owens came out on Raw a couple weeks ago, but didn’t accept the challenge and instead cheap shotted Cena, planting him with his Pop-Up Powerbomb and stomping on the US Title. Cena says that Owens proved he can start a fight, but he’s ready to find out if the NXT Champion can finish one. The bell rings and here we go, collar and elbow tie-up, Owens with a side headlock, into the ropes and Cena with a big shoulder knockdown. Owens regroups and here’s the dueling Cena chants. Owens strikes first, going to the midsection and clubbing away at Cena in the corner, driving his knee into the face. He whips Cena across, reversed and Cena with a running facebuster. He ducks down for a back body drop and takes a kick, rolls to the apron and Owens with rights, raking at the face. Owens with a hard irish whip into the corner, then backing Cena in and grinding his forearm into the face. Owens trash talks as he delivers a right hand and gets a 2 count, then goes into a rear chinlock to wear Cena out. 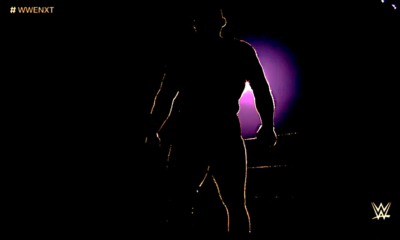 Cena to his feet, but he fades back down to the canvas, then fights back to a vertical base and powers out of the hold. He gets Owens on his shoulders for the AA, but Owens slips out and spikes Cena with a DDT for a count of 2. Owens calls for Cena to get up, then drives a big boot into his face and plays to the crowd, continuing to trash talk Cena and pummel him back down. Owens poses for the crowd again, Cena with a quick roll-up for 2 and gets floored with a clothesline, then eats a flurry of rights. Cena struggling to his feet, using Owens to get back up and they slug it out. Cena ducks a shot, hits the ropes for a shoulder tackle, goes in for another and gets caught, Owens turning it into a crucifix slam for a near fall. Cena’s seated in the corner, Owens charges and connects with the Cannonball for another 2 count. KO tells Cena it’s time to give up, which prompts him to strike back. Owens with a shot to the gut, sends Cena in for the Pop-Up Powerbomb and Cena avoids it, dropping Owens with shoulder tackles and a slam followed by the 5 Knuckle Shuffle. Cena attempts the AA, Owens sliding out and planting Cena with the Pop-Up Powerbomb, Cena kicking out at 2. Owens heads up top, but he took too much time, Cena hitting the ropes and crotching Owens on the turnbuckle. Cena climbs up, but Owens drops him down with headbutts and goes for a springboard moonsault. Cena rolls out of the way and drives Owens into the mat with the Attitude Adjustment, but only gets a count of 2. Cena pulling Owens up and they duke it out again, Owens ducking a right and then nailing Cena with a superkick. Owens goes to pick Cena up, stops and then attempts a 5 Knuckle Shuffle, Cena catching him and locking in the STF. Owens dragging towards the bottom rope, Cena tries to bring him back to the middle and Owens kicks him off. Cena charges and Owens now catches him with an AA, getting only 2. Cena crawls to the corner, getting to his feet and hitting a charging Owens with a boot, followed by a jumping tornado DDT for a near fall. Cena climbs upstairs, hits the leg drop and still can’t get a 3 count. John wants the AA again, Owens blocks and turns it into a package powerbomb, but still no 3 count. Owens shows frustration now, dragging Cena to his feet and berating him, yelling to stay down. Cena jumps back up and they trade right hands, Owens sends Cena into the ropes, Cena ducking a clothesline and then connecting with the springboard stunner for another near fall. Owens gets propped up on the top turnbuckle, Cena climbing up for a superplex, Owens counters into a 2nd rope fisherman’s buster, gaining yet another 2 count. He heads upstairs and connects with a somersault senton, but Cena kicks at 2 again. Cena gets to his feet and turns Owens inside out with a clotheline, buying himself a little time, then taking Owens’ head off with another. Cena attempts a 3rd, Owens ducks it and hits the Pop-Up Powerbomb, finally getting a 3 count. EA’s Take: Wow, amazing back and forth matchup and Owens couldn’t have gotten a bigger rub on his way into the main roster than this. Others will probably disagree with me, but Owens getting the victory is not a surprise. News broke recently that Owens will be transitioning fully to the main roster, so you can’t introduce him with a loss against anybody, even Cena. I’m glad WWE did the logical thing here and really look forward to Owens’ future. In The Arena: Our Kickoff Panel speaks about Kevin Owens’ huge victory. They talk about what they’re looking forward to the rest of the night, debating whether or not Rollins or Ambrose will go home with the gold tonight. Bo has a mic and talks about how he tried to be nice and help Neville. He says Neville denied him and now it’s too late. He will force Neville to Bo-lieve. The match starts, Dallas going for the banged up leg and Neville able to keep it away. Bo grabs a side headlock, then goes for the leg again and Neville kicks him off. They lock-up, Bo grabs the hair and backs Neville in the corner. Neville turns the tide, going to the leg, then hopping over a charging Dallas, flipping to the other corner and getting his boot up. He heads upstairs, Dallas rolls outside and Neville jumps off with a moonsault before tossing Bo back in. Neville grabs a rear chinlock, Bo gets into the ropes, then pleads with Neville that he’s just trying to make him better. Neville’s not hearing it, delivering kicks to Bo, then getting caught and dumped outside. Dallas goes after him, tying Neville up in the apron and delivering clubbing blows. Back in the ring, Bo with a running back elbow and covering for 2, then grounding the high flyer with a rear chinlock. Neville gets to his feet, but gets slammed back down by his hair, Dallas with multiple knee drops for another count of 2 and then back into the rear chinlock. Dallas can’t seem to put Neville away and is getting frustrated, he goes for the Running Bo-Dog, Neville pushes out of it and hits Dallas with a big kick. He heads to the top and connects with the Red Arrow for the 1-2-3. EA’s Take: Bo needed the win a lot more than Neville did, so apparently WWE is not going to start taking Bo seriously. This was more of an extended Raw match than a PPV bout. Backstage: Roman Reigns & Dean Ambrose are conversing when Triple H approaches them. Hunter tells Roman that heard him say he would be in Ambrose’s corner tonight, but unfortunately he won’t be able to allow that to happen. He tells them if Roman gets involved, Dean will get disqualified. Daniel Bryan is at ringside to hand off the title to the new champion. Dolph & The King start the action, Ziggler going for the leg and a couple quick covers for 2 counts. Dolph goes to the arm, then grabs another roll-up for 2 before getting caught with a punch to the gut. Barrett drives Dolph into the turnbuckle, then hits a snap suplex for 2. He punishes Ziggler in the corner, planking him across the top with clubbing blows and delivering a running knee for another count of 2. He grabs a rear chinlock to wear out The Show Off, Ziggler to his feet breaking the hold with a jawbreaker and hitting a beautiful dropkick. He splashes The King in the corner, drops him with a neckbreaker and hits a jumping elbow for a near fall. Barrett reverses an irish whip into the corner, Dolph tries to hop over and is caught with a kick, then clotheslined out to the steel. He drives Ziggler into The Big Guy’s pod, then lets Dolph eat some chain as the clocks ticks to zero. R-Truth’s pod opens and The King ambushes him, pummeling Truth in the pod and driving him back first into the plexi. He drags Truth out and sends him into the chain numerous times, goes to Ziggler and Dolph hangs Barrett across the top. The advantage is momentary as The King hits a big boot, then whips Dolph into the ring post. Back inside, Truth ducks Barrett’s clothesline and he lands a couple of his own. Barrett runs into a boot in the corner, Truth with a dropkick from the 2nd rope for a count of 2, then following with a sit-out front suplex and the scissors kick. The King rolls to the corner, Truth with a splash, then hits the ropes and runs into Winds Of Change for 2. Dolph with a roll-up to Barrett from behind for 2, The King connecting with multiple kicks to Ziggler, but still can’t pickup the 3. Barrett tosses Dolph outside, driving him back-first into Mark Henry’s pod and busting through the plexi. Mark Henry enters the match as it’s no disqualification, he slams Barrett and splashes him as the clock runs down. Ryback is next, going for the World’s Strongest Man and driving his shoulder into him in the corner. He charges into Henry’s boot, ducks a clothesline and flattens Mark Henry, getting a count of 2. The Big Guy backing The King in the corner, squashes him with a clothesline for another 2 count. Barrett’s against the ropes, back body drops Ryback to the steel, then catches a leaping Dolph and throwing him off. Ziggler runs in with a crucifix for a 2 count, then Dolph gets caught with Wasteland. Barrett covers and Mark Henry breaks it up, beating down The King in the corner. Barrett turns the tide, setting up for the Bullhammer on Dolph. Ziggler ducks and hits a superkick, Ryback with snake eyes and then Truth hits The King with Lil’ Jimmy to get the pinfall. King Barrett has been eliminated. All 4 men have a standoff, then pair off with Ryback/Ziggler and Truth/Henry in opposite corners. Ryback turns his attention to Henry and squashes him as the clock hits zero. Sheamus is the last man to enter, but the door to his pod is stuck. Truth, Ryback & Dolph all hit each other with roll-ups, gaining 2 counts, then they turn their attention to Mark Henry. Ryback squashes him with a splash, Truth following with the Lie Detector and Dolph with another superkick. Ryback hits Henry with a spinebuster, then floors Ziggler and hits Truth with Shell Shocked for the 1-2-3. R-Truth has been eliminated. The Big Guy goes for Dolph, hitting him with a delayed vertical suplex and putting Ziggler in the crosshairs for the Meat Hook. Ryback charges right into a superkick and now everyone’s down as Sheamus is still stuck in his pod. He laughs and then pulls out his celtic cross, which had the door pinned shut, now entering the match. Sheamus tosses Dolph through some more plexi, then clotheslines Ryback out onto the steel and turns his attention to The World’s Strongest Man. Sheamus belittles him and gets caught in a World’s Strongest Slam, Sheamus avoids it and gets decapitated by a clothesline. Henry attempts the slam again, Sheamus slips out and lays him out with a Brogue Kick for the elimination. Mark Henry has been eliminated. Sheamus goes out for Ryback and drives him into the chain, then gets his hands on Dolph and hurls him into the ring to deliver more punishment. Sheamus toying with The Show Off, Dolph fires up and strikes back, but Sheamus drops him with a double axe and then a release vertical suplex for 2. The Celtic Warrior attempts another, Ziggler counters into a roll-up for a near fall, grabs another then tries the jumping DDT. Sheamus tosses him off, then gets spiked with it anyways for a near fall. Ryback re-enters the ruckus, going after Ziggler and eating a superkick, then the Fameasser. Sheamus capitalizes with a Brogue Kick, pinning The Show Off. Dolph Ziggler has been eliminated. The Celtic Warrior grabs Ryback and plants him with a powerslam, covers and The Big Guy kicks at 2. Sheamus points to the title, as if to say it’s his, but gets caught with heavy offense from Ryback including a powerslam. Ryback clubs away at Sheamus in the corner, irish whip he runs into a boot, but drives Sheamus to the canvas with a powerslam. The Big Guy looks for the Meat Hook, but Sheamus ducks outside and goes for his cross in the pod. He can’t get it and Ryback grabs him for Shell Shocked on the steel, Sheamus slips out and plants Ryback with White Noise outside. He rolls The Big Guy in the ring and covers, but still can’t get 3. Ryback rolls out, Sheamus tying him up in the ropes for 10 Beats Of The Bodhren, Ryback grabbing the arm and flipping Sheamus to the steel. The momentum doesn’t last, as The Celtic Warrior sends Ryback into the plexi, then hits a rolling fireman’s carry on the steel. Sheamus sets for the Brogue, Ryback catches him in a powerbomb position, drives him into the chain and then plants him in the ring. The Big Guy follows up with Shell Shocked in the ring and we have a new champion. After The Bell: Bryan hops in the ring and says that Ryback deserves the title, then hands it off to him. Ryback tells Daniel he’s an inspiration and thanks him. EA’s Take: This was not as clean as the first Chamber match, but the surprise here is Ryback winning as most reports had Sheamus pegged to be the victor. Henry’s pod was definitely not supposed to bust open when it did, so they had to call an audible during the match. Dolph was very audibly heard telling Henry to “stay there” at one point and when Dolph/Ryback/Truth/Henry has their standoff, Ziggler was clearly seen directing traffic. This probably should have opened the show because it was going to be hard to have a better Chamber match after the performance in the Tag Title match earlier. 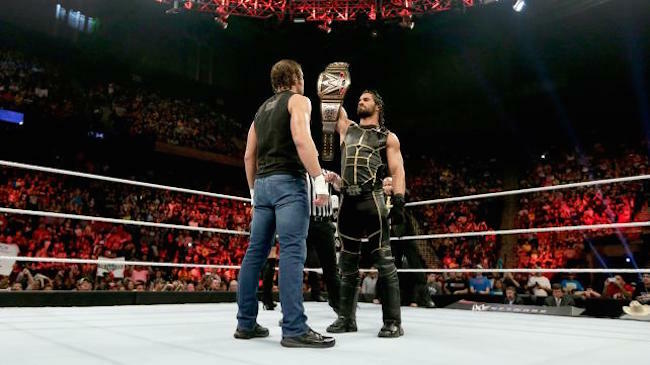 Video: The history and rivalry between Seth Rollins & Dean Ambrose has been well documented, from their days in The Shield, to Seth breaking it apart. Dean was able to thwart The Authority’s plan on Monday to keep him out of the title match tonight and now he’s ready to seek revenge…and the gold. They tie-up, Rollins goes to the arm, Dean switches out and gets Seth in a hammerlock. Rollins breaks with an elbow, then grabs a side headlock into a takeover. Ambrose to his feet, shoots Seth off who gets a shoulder knockdown, but Ambrose with armdrags and an armbar. He rips at Seth’s fingers and the champion rolls outside for a breather. Rollins heads back in, they go into a test of strength, Seth getting the upperhand with a right and then stomping away in the corner. He shoots Dean in, Ambrose ducks a clothesline and takes Rollins down for a flurry of rights. Whip into the corner, Seth is turned upside down and Ambrose with a chop, then tying Rollins in the ropes and hitting a running dropkick. The Lunatic Fringe from the 2nd rope, lands a leg drop and gets a count of 2. He props the champion up top, climbing up for a super back suplex, Seth ducks out and Ambrose kicks him away. Mercury gets to the apron for the distraction, Seth locks Dean’s leg in the turnbuckle and he’s stuck. Noble gets to the apron now and Seth heads up top, coming down and driving in the knee for a count of 2. The champion goes outside, dragging Ambrose to the apron and clubbing away. Back in the ring, Rollins with a kick to the spine for 2, then grabs a rear chinlock to try and grind down The Lunatic Fringe. Ambrose to a vertical base with shots to the gut, he rushes at Seth in the corner and the champion with a reverse STO, driving Dean’s head into the turnbuckle. Rollins gets arrogant, firing right hands and egging Ambrose on. Dean obliges, striking away and sending the champion into the ropes, but getting caught with a spinning clothesline for a near fall. Seth with a short arm clothesline and the champion is in total control. He hits another, takes his time delivering a 3rd and Dean ducks it, both men into the ropes and they collide going for crossbody’s. Back to their feet, Dean with the punch/chop and he builds momentum, hitting a sunset flip and they go back and forth with roll-ups and near falls. Dean ducks a kick and plants the champion with a sit-out slam for a count of 2. Dean goes to charge Rollins in the corner, J&J drag the champ out of the ring and Ambrose lands a suicide dive to the floor, sending Seth over the announce table. Back inside, Rollins grabs a backslide, putting his feet on the top rope for leverage and the ref sees it. Ambrose turns it around into a near fall after pushing Rollins into Mercury on the apron. Seth drops Dean to his knees, then hits a kick to the chin that only gets 2. The champion climbs up top, but Ambrose crotches him, meeting Rollins for a superplex attempt. Seth fights out and flips over for the Turnbuckle Powerbomb, Ambrose with right hands to get out of it, then clotheslines Rollins and they both fall out to the floor. Seth gets to his feet, tosses Dean in and ducks a clothesline, catching Ambrose and hitting a Turnbuckle Powerbomb, but into the barricade outside. He rolls Ambrose inside, covers for 2, then goes up top for the diving knee for another near fall. Seth drives Ambrose into the canvas with a lifting reverse DDT, but The Lunatic Fringe continues to kick out. The champion belittles Ambrose in the corner, charges and hits a running forearm. He berates Dean some more and connects with a 2nd, tries another, but Dean follows him in with a forearm of his own. Ambrose following up with a tornado DDT, almost getting a 3 count. Dean ties Seth up in the ropes for another running dropkick, goes to the well for the leg drop again and misses. Seth with a springboard knee that misses, but he hits Ambrose who springs off the ropes with the Pendulum Clothesline for a near fall. The Lunatic Fringe to the outside and upstairs, jumping off with the diving elbow drop and he still can’t get 3. Dean wants to finish with Dirty Deeds, J&J with a distraction and Rollins with a running dropkick. Ambrose tries to bounce off the ropes with a Pendulum Clothesline and gets dumped outside. Rollins with a suicide dive, sends Ambrose is for the Turnbuckle Powerbomb, but he springs out of the corner with a clothesline. J&J and Kane get drilled to the floor, Ambrose up top and he dives onto everyone outside. Seth comes outside and eats another clothesline, Dean tosses him in the ring and heads upstairs once more. The Lunatic Fringe with another diving elbow drop and the champion pulls the ref in the way and he gets knocked down. Rollins attempts the Pedigree, Ambrose gets out and spikes him with Dirty Deeds. Here comes another referee as Ambrose covers and he makes the 3 count. After The Bell: The other referee gets in the ring and explains that Rollins pulled him in Ambrose’s way. The decision gets reversed and Rollins is disqualified, hanging onto his title. The Authority hops in the ring as Dean argues with the officials, beating down The Lunatic Fringe. Roman Reigns is out, Rollins sending J&J and Kane to meet Roman in the crowd. Reigns comes from the entranceway, hitting Rollins with a Superman Punch. 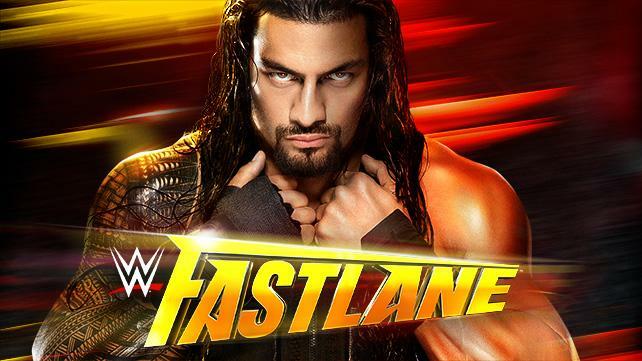 Reigns and Ambrose take out Kane, Noble & Mercury in the ring. Dean grabs a mic and states that he won this match, so he’s taking the title. He tells Reigns that the champ is going to buy the beers and they exit through the crowd with the title. EA’s Take: This match was a slow build, leading up to the high pace near the end which was excellent. It was a nice treat to see Ambrose get the “title win”, eventhough it wasn’t actually a title win. They will need to end this feud soon though, with Brock Lesnar’s return right around the corner. EA’s Finisher: I honestly felt as though this was a pretty good PPV, with the most entertaining match of the night being Owens/Cena. The screw-up in the IC Title Chamber match really messed with the flow when they were forced to call an audible and Dallas/Neville was about as predictable a contest as it could get. The Kickoff Show match was weak and just thrown together at the last second, but on the plus side there were nice surprises like Ryback winning the IC Title, Ambrose’s “Title Victory”, the Tag Title Chamber and the Divas with a strong outing. For a show that was supposed to be “all hands on deck”, we still could have had a little bit more. Money In The Bank is sure to be much better, as it’s the most anticipated non-Big 4 PPV.